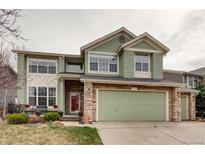 Below you can view all the homes for sale in the Eastridge subdivision located in Highlands Ranch Colorado. Listings in Eastridge are updated daily from data we receive from the Denver multiple listing service. To learn more about any of these homes or to receive custom notifications when a new property is listed for sale in Eastridge, give us a call at 720-606-6881. This home is part of the Highlands Ranch community with 4 state of the art Rec Centers with free access for your enjoyment. Welcome home! MLS#3035535. BROOKSHIRE HOMES REALTY. The finished walkout basement includes another updated bedroom and bath. Great neighborhood, close to shopping. MLS#1628789. Re/Max Revolution. Elegant loft space down the hall could make an excellent office space, library or playroom. MLS#3197548. Redfin Corporation. Take in the lifelong views from your composite deck and enjoy your main-floor laundry room and 3 car garage. See this Beauty today! MLS#9376333. Resident Realty South Metro. This is the one, come visit today. MLS#8341090. Berkshire Hathaway HomeServices Innovative RE. Wonderful location walking distance to Highlands Heritage Park. MLS#6048098. Redfin Corporation. Easy access to 470 and I25, shopping and dining. MLS#3039148. Lark Realty Group. The basement also features a 4th bedroom w/ egress, 3/4 bath & laundry! MLS#3406164. Re/Max Urban Properties. ****OPEN HOUSE SATURDAY, APRIL 6th, 1:00pm -4:00pm**** MLS#9293224. HomeSmart Cherry Creek. Fully remodeled in 2015 with all new appliances, new water heater, newer roof and so much more, come take a look! MLS#5027835. LIV Sotheby's International Realty. They offer a variety of classes. MLS#4068010. HomeSmart Realty Group. Douglas County Schools, close to restaurants, shopping, interstates, DTC and etc MLS#7736066. RE/MAX Professionals. Walk to Heritage Park for summer concerts and 4th of July fireworks! MLS#9207723. HomeSmart Cherry Creek. House backs to open space with direct access to miles of trails, front range views from the open space behind the house, 4 Recreation Centers, Commute to C470+ I25. MLS#4875186. Redefy. Central Air conditioning, Tankless Hot water Heater, Water Softner, Sprinkler System. MLS#9241022. RE/MAX ALLIANCE. Solar panels are leased and will transfer to buyer. MLS#4352177. HomeSmart Cherry Creek. Close to Park Meadows Shopping and access to 4 Highlands Ranch Recreation Centers, Parks and Trails. MLS#3805611. RE/MAX Professionals. Newly Refinished Hardwood Floors, A Finished Basement With Bathroom, Custom Louver Window Shades Throughout, An English Garden Style Backyard, And Quick Access To Trials. MLS#7005611. HomeSmart Cherry Creek. * Gorgeous Remodeled and Updated Family Home * 5 Bedrooms and 4 Full Baths * Pride of Ownership Shines Throughout with Numerous Custom Upgrades * Live Large and Easy with Soaring Vaulted Ceilings & Bright Light * Luxurious, Spacious Master Suite & Bath * Slab Granite, New SS Appliances, Entertainer’s Island w/Eating Nook and Walk-in Pantry Make a Gourmet Kitchen to Love * Front Patio Ideal for Morning Relaxing * Large Deck Overlooks a Fenced Private Backyard, Newer Patio * Plenty of Room to Welcome Guests and Entertain * Finished Basement is Complete With Bedroom, Separate Kitchen Area, and Unique Craft Room for Family Time Creations * Nearby to Greenbelt Heritage Park and Miles of Dry Creek Trails * Lone Tree, Park Meadows Shopping & Amenities Minutes Away * HVAC Inspected and Certified * An Amazing Location to Call Home–Don’t Miss Out! * MLS#2160363. Colorado Home Realty. Quick access to HRCA Rec Centers, public parks, open space trails, Wildcat Mountain, highways, and Park Meadows/DTC. MLS#5953097. Madison & Company Properties.